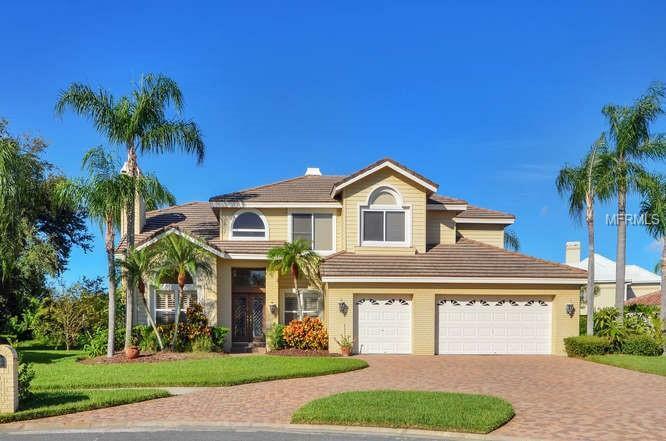 This lovely 4 bedroom 4 1/2 bath Bayside home sits at the end of the cul-da-sac, has a circular driveway and a 3 car garage. 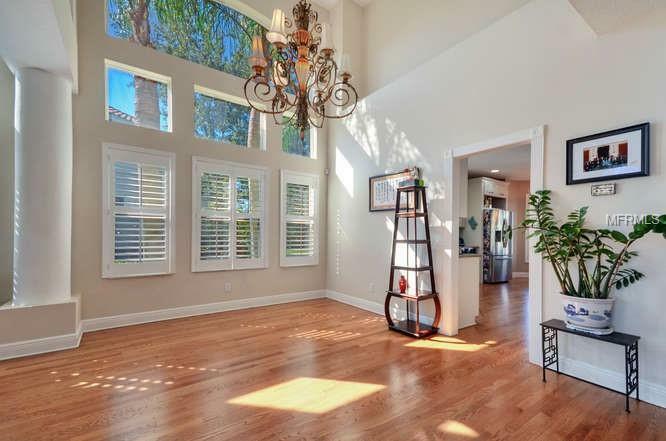 When entering this home you see hardwood floors that extend throughout most of the house. Natural light illuminates the house because of the many large windows. The house has a wonderful updated kitchen that overlooks the family room with a wood burning fireplace. The eat in kitchen has great views of the pool which creates a nice setting for morning coffee. 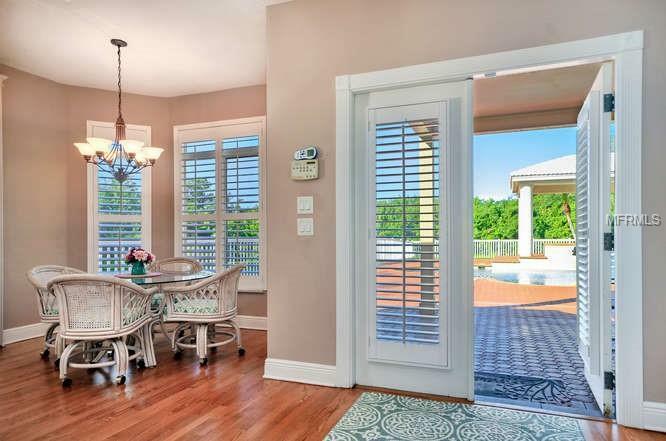 There is a downstairs office or study for those who work from home.. Downstairs offers a large master bedroom which has direct access to the pool deck. Also downstairs you will find and oversized laundry room with plenty of cabinets for storage. The homes rod iron banister leads upstairs to 3 additional bedrooms and a large bonus/ play room. The bonus/play room has French doors that lead to a very large deck that overlooks the expansive pool area. 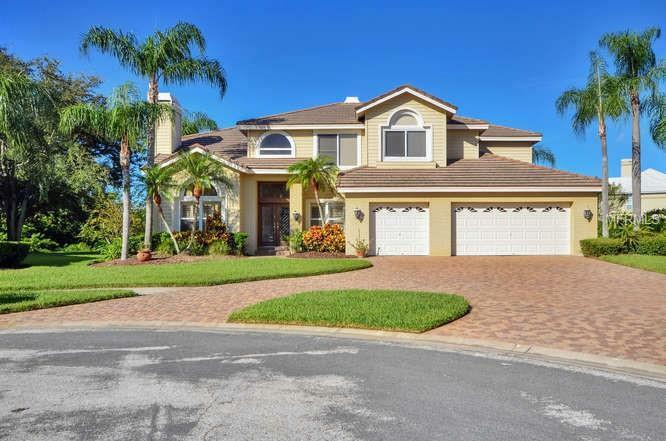 This well maintained home is located in a beautifully manicured desired community and is move in ready! Great location, minutes from Tampa International Airport, shopping at International Plaza, restaurants and more.